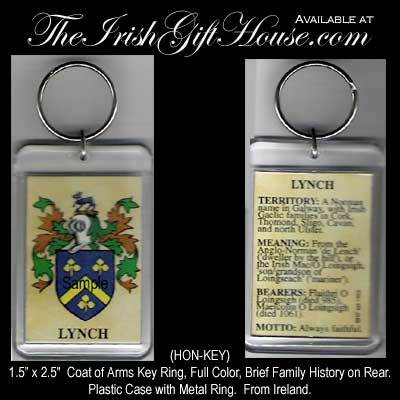 These Full Color Irish Coat of Arms Key Rings have a Brief Family History on Rear. The Irish Coat of Arms key ring measure 1.5” x 2.5". Made in Ireland. Choose from over 300 Irish names. This item is typically in stock.